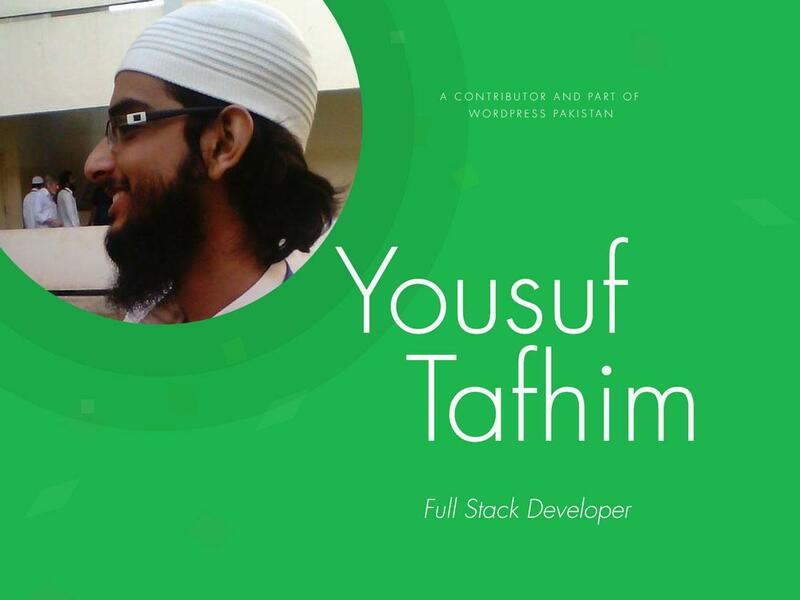 I am Yousuf Tahim, I’m studying BA in Islamic Studies and Working as an (Almost) Full Stack Developer at Islamic Online University IOU. At IOU, I work with mostly setting up and maintaining WordPress websites and also work with Moodle (www.moodle.org) & CodeIgniter. I also work as a freelancer (occasionally) which involves setting up WordPress and customizing them to the client’s needs. As a developer, I haven’t, but I would love to. As for providing assistance in forums, I have done it other open source software forums, either to seek help or to help others fix underlying issues. However, it is not that frequent. This time around while contributing for WordPress in the support forums, I felt good and plan to continue doing that. I think that a gathering of like-minded people joining, to help out the WP community is what got me motivated in the first place. Also, the support & encouragement the WP Support team gave when I had no clue what to do with questions made it much easier to contribute smile emoticon. As a learner, I have this moment where I’m stuck on a problem and can’t figure out the solution. And sometimes it gets frustrating. To have people who acknowledge that they faced the same problem and how they solved it makes it much easier for me that I’m not the only one with this frustration smile emoticon. I have learned a lot this way and I feel that it is my obligation to help others solve their problems as well. For those who will be joining us next time, you don’t have to be an expert to answer… Relax, ask for help, learn and help others.